We would love to answer your Child Care queries, take you on a tour of Carey Lane Early Learning Centre, and speak with you about registering your interest in a place for your son or daughter. We look forward to welcoming you to our Centre! 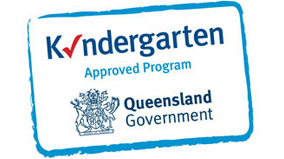 Carey Lane Early Learning Centre is open Monday to Friday 7am - 6pm and caters for children from 6 weeks to Kindergarten. To Apply to Enrol at Carey Lane, download and complete our Application For Enrolment Form and email it to admin@careylane.com.au.